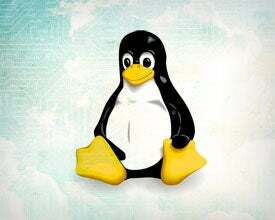 Linux has made a huge impact on the server market, but the same can't be said for the desktop market — and for good reason. Despite making strides in the last several years, it's still tricky for the uninitiated to use, and the user interfaces of the various distributions remain far inferior to those of Windows or Mac OS X. Most knowledge workers are familiar with, and use, Microsoft Word and Excel. Even though there are some excellent open source alternatives to Office, such as LibreOffice and Apache OpenOffice, they aren't identical in terms of functionality or user interface, performance, plugins and APIs for integration with third-party products. They are probably close enough as much as 90 percent of the time, but on rare occasions there's a risk that these differences will cause problems — especially when exchanging documents with suppliers or customers. Business-class support is sometimes available for open source software, either from the company leading the project or a separate third-party. This isn't the case often, though — and that can be a problem, according to Tony Wasserman, professor of software management practice at Carnegie Mellon University. The lesson here: While open source software may often — and even usually — be a better choice than functionally similar proprietary offerings, it doesn't make sense to be too dogmatic about it. "As a practical matter, I think that many people would prefer to have everything open, especially in light of the recent revelation about the NSA spying on machines through USB chips," Wasserman says. At the same time, though, many of those who prefer open source will make exceptions when there are no practical alternatives — not to mention their use of Mac and iOS devices … "